Blessed are they that suffer persecution for justice’ sake; for theirs is the kingdom of heaven. And seeing the multitudes, he went up into a mountain, and when he was set down, his disciples came unto him. And opening his mouth, he taught them, saying:  Blessed are the poor in spirit: for theirs is the kingdom of heaven. Blessed are the meek: for they shall possess the land. Blessed are they that mourn: for they shall be comforted. The poor in spirit: That is, the humble; and they whose spirit is not set upon riches. Blessed are they that hunger and thirst after justice: for they shall have their fill. Blessed are the merciful: for they shall obtain mercy. Blessed are the clean of heart: for they shall see God. Blessed are the peacemakers: for they shall be called children of God. Blessed are they that suffer persecution for justice’ sake: for theirs is the kingdom of heaven. 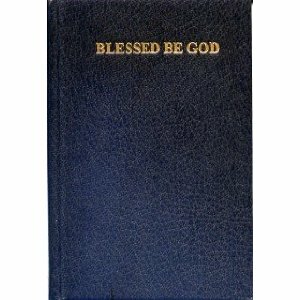 This entry was posted in Uncategorized and tagged Beatitudes. Bookmark the permalink.